A modern style essential, this chunky curb bracelet is crafted in elegant 9ct gold. The perfect finishing touch to his sleek look. 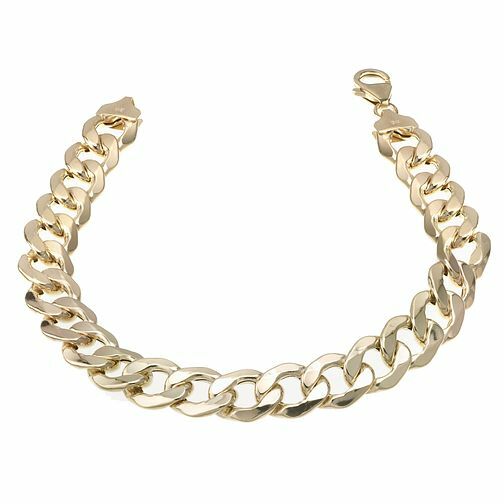 9ct Gold 8.5" Curb Bracelet is rated 4.3 out of 5 by 7. Rated 1 out of 5 by Anonymous from Sounds like Tin and has no weight to it at all. Would not recommend The product its self was horrendous and poor quality, the staff whom dealt with the refund were very helpful and friendly.